I don’t often buy sports games the year they are released, but I couldn’t pass up getting FIFA 13 this year. A lot has changed since the last version I played, FIFA 11, and what we have now is one of the most complete sports experiences I have ever seen. Upon firing up the game, the options are nearly overwhelming. Just take a look at the different modes offered: Games of the Week, Ultimate Team, Seasons, Career, Be a Pro, Pro Club Seasons, Skill Games, Online. To the unaware, it would be difficult to even begin to think about where to start. 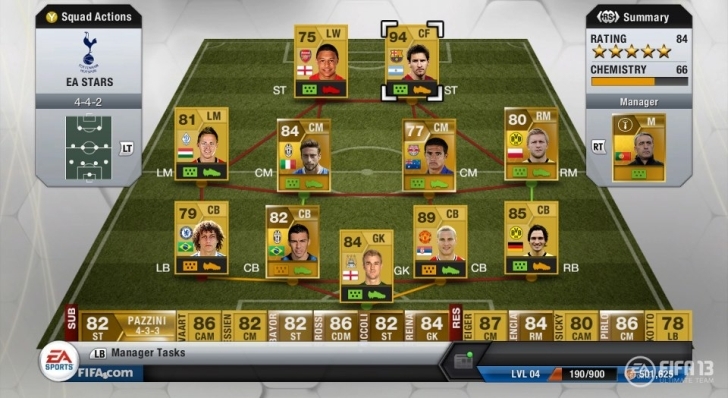 I began my FIFA 13 playing career with the Ultimate Team mode. I had dabbled with this before, but never gave it the time of day it deserved. In this mode, you are given packs of cards in which you receive different players, attributes and other options. By playing and winning matches, you earn points that can be used to purchase more packs of cards, with the ultimate goal being to continually improve and upgrade your team. Cards can also be purchased, sold and traded in the online marketplace, allowing you to target certain players if desired. It’s an addictive little feature, and EA has undoubtedly made a great deal of money off of it by allowing impatient gamers to purchase more points with real money as well. After spending a good amount of time with Ultimate Team, I moved onto “Be a Pro” and created a virtual version of myself. 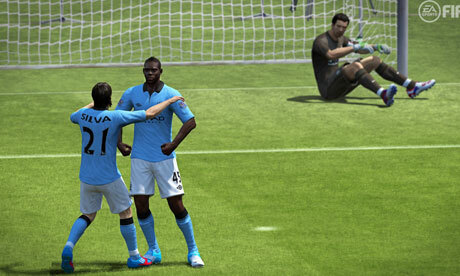 Soccer was always my weakest sport to play in real life, but I fit right in on the cyber confines of FIFA. As a young striker, I joined the celebrated club of Bayern Munich (an ode to my German heritage), but they had little room for me until I worked on polishing my skills. I accepted a transfer to the Scottish Premier League, becoming a starting forward for Dundee United. It didn’t take long for me to begin to establish myself, scoring my first ever hat trick in my second match, and quickly building up my attributes thanks to strong performances on my end. Unfortunately, a couple of injuries derailed my promising start (thanks to me abusing the “sprint” button, apparently), and the team struggled to play well without me. After finishing the season, which was mostly successful on an individual level despite the injuries, I decided to try out another mode: Seasons. I found Seasons to be the most challenging and addictive mode yet. In this, you pick a team and embark on a series of head-to-head matches against other gamers online. Every “season” has 10 matches, and you are required to earn a certain amount of points (three for a win, one for a draw) in order to move up to the next division level. If you fail to reach this goal, you will be relegated back down to the level below you. It’s a very competitive mode, and I found myself outclassed often by others online. After tightening down the settings to only match up against teams of the same star rating as my own, I began to achieve a bit more success, eventually moving up to the next division. A series of devastating defeats sent me right back down to relegation status, however, and I had to work my way back up. While frustrating at times, the level of competition in this mode is fierce, and it’s a great way to improve your own game. The Skill Games feature is a welcome addition, as these drills serve as in-game tutorials of sorts, helping improve passing, shooting and dribbling skills. Best yet, they can be completed during the load screens for offline games. I can’t think of another game that offers such useful loading screens. Between all of these different modes, I have spent a lot of time with FIFA 13, and I have absolutely had a blast with it. There are some minor issues here and there — occasionally my passes went to the wrong player, and I ran into a handful of laggy games online — but this is still an incredible soccer/football title that offers a seemingly endless amount of replay value. For fans of the sport, buying this is a complete no-brainer. This review has brought back the memories! 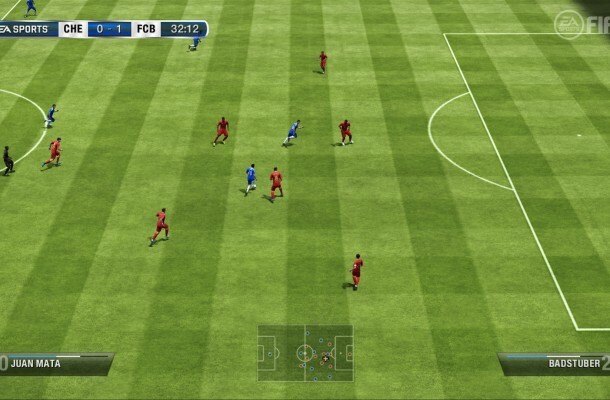 I might resist as I bought FIFA 12 last year, but it’s so addictive as you mentioned. Nice! I missed out on FIFA last year so I’m not sure just how different this one is, but it is a big improvement over ’11 anyway. I love that if I get burnt out on one mode I can just move onto the next. So many choices. From pictures the game look very good. 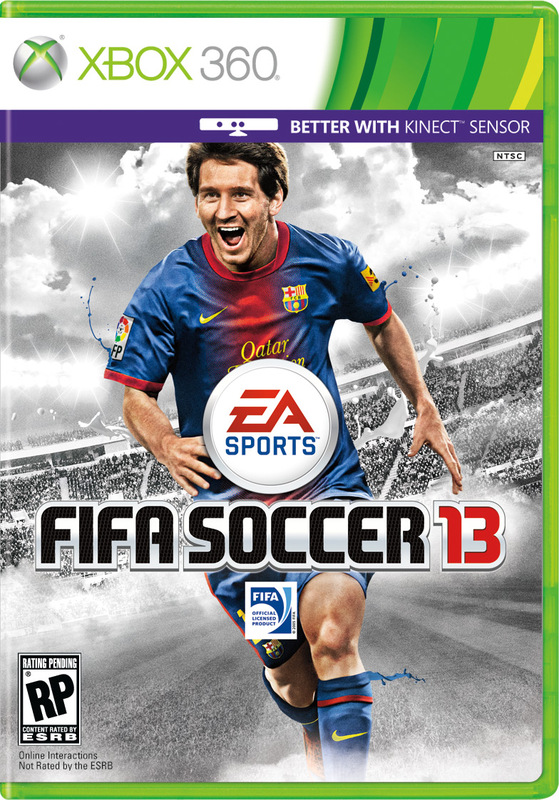 Tomorrow I will play Fifa 13 on XBOX 360 to see what she can do :d.